Every time I see one of these videos from Sky Dance Kennels, I think “that’s the life.” Horses, great dogs, wide-open country and lots of birds. If there’s a heaven, I hope it’s like this. 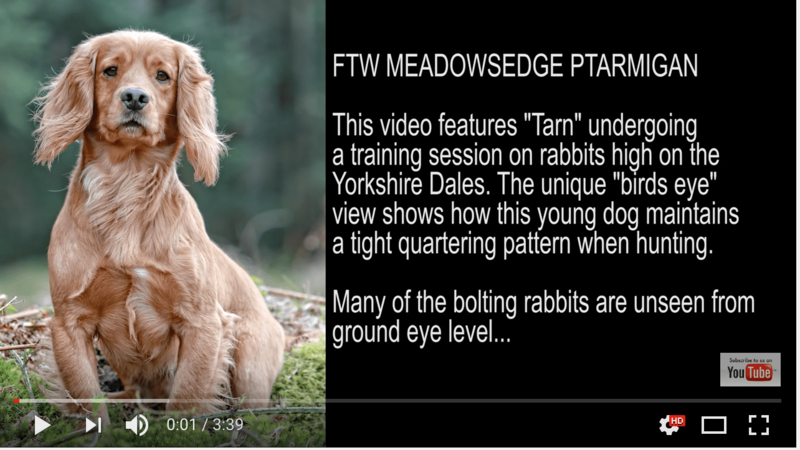 For the next installment in our “cocker spaniel, you’ve-got-to-see-this video series”, check out this one from Nick Ridley over in the UK. Over there, they use spaniels to hunt rabbits. The vid is shot with a drone, and if you watch closely you’ll spot bunnies bolting from the cover, unseen by the shooter. 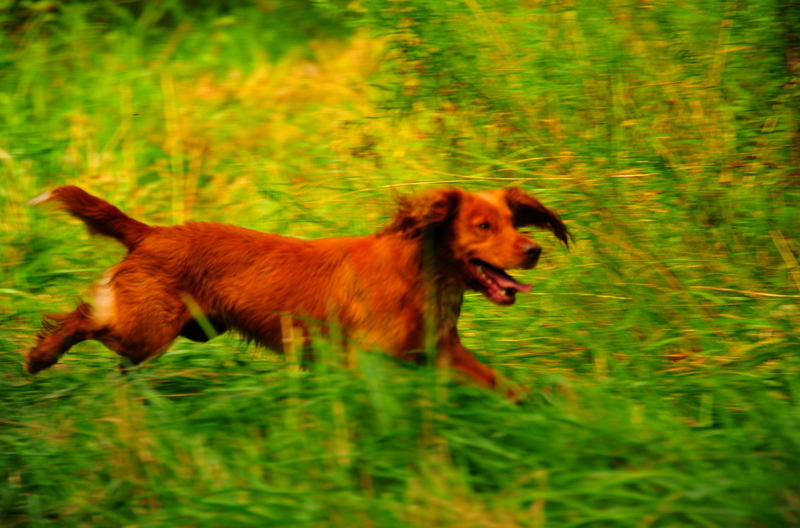 Field bred Cocker Spaniels are great little dogs, and in the U.S. today, they’re more popular than ever. Over the next few days, I’m going to put up a few videos showing what they’re can do. This one is from Tom Ness @ Oahe Kennels. He’s a top trainer and breeder of these little dynamos. I was up in northern NH last weekend visiting Lexi. 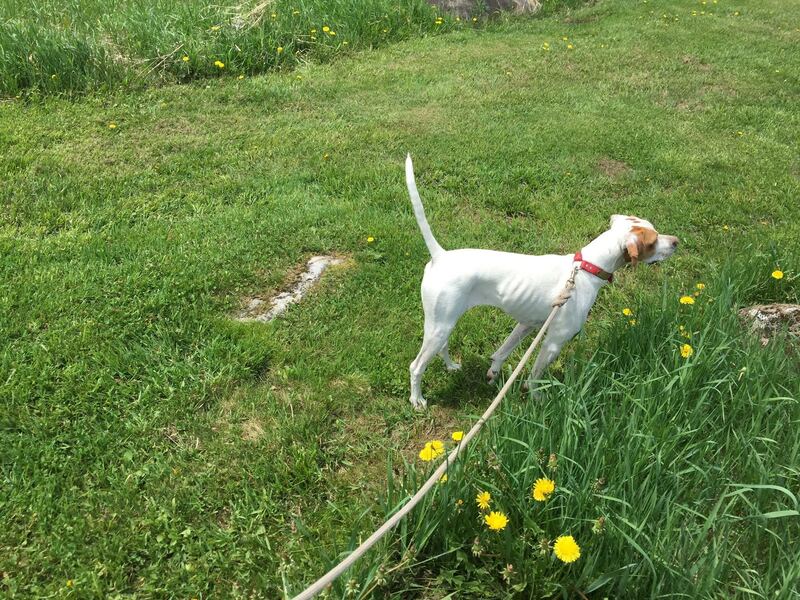 She’s about 1/2 through her summer training program, and she’s just starting to get out in the woods to chase wild birds. 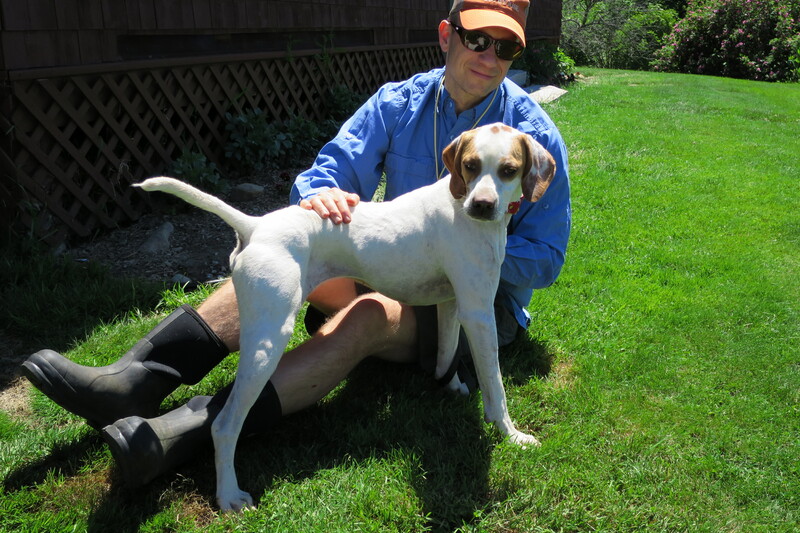 She turning int great bird dog — very easy handling and a real strong bird finder. I took her out for a couple hours and hit a few spots. Lexi moved 3-4 grouse. I only heard the birds. 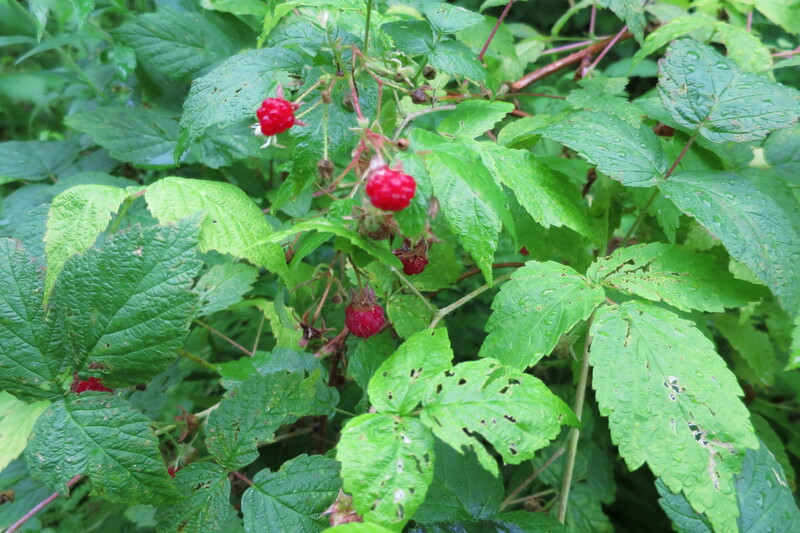 The woods were too thick for me to see a thing. Here’s a quick vid of Lexi plus some pics of what we saw (and a vid of a slithering little guy we came across). Enjoy. Last Saturday, my wife and I took Lexi to the local pool for “Doggie Day”. We thought Lexi would have a good time in the water. She didn’t. It looks like water retrieves may be out. Q. Does that mean feed it (a dog) like a human runner? A. No. 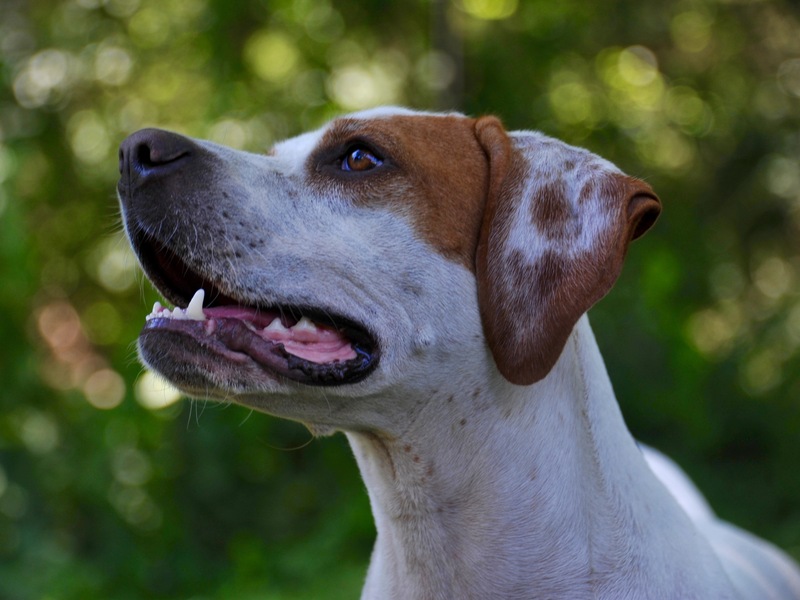 Humans and dogs fuel exercise very differently…Dogs burn fat as their primary endurance fuel, and carbohydrates are not very important for them. Q. So there’s no reason to give a dog a sports bar, which is full of carbohydrates, during a run? A. No. Same for those gel packets…Fat is the fuel for performance dogs. Q. What about protein? How important is it? A. Vital. 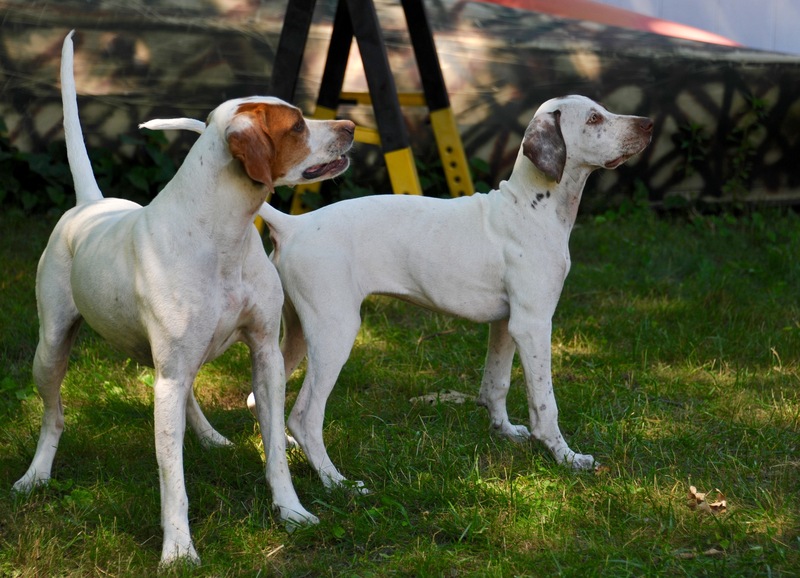 Athletic dogs need protein to build and maintain muscle. In general, their diet should consist of at least 25 percent protein, preferably from meat. The latest on Lexi. She’s growing fast…. 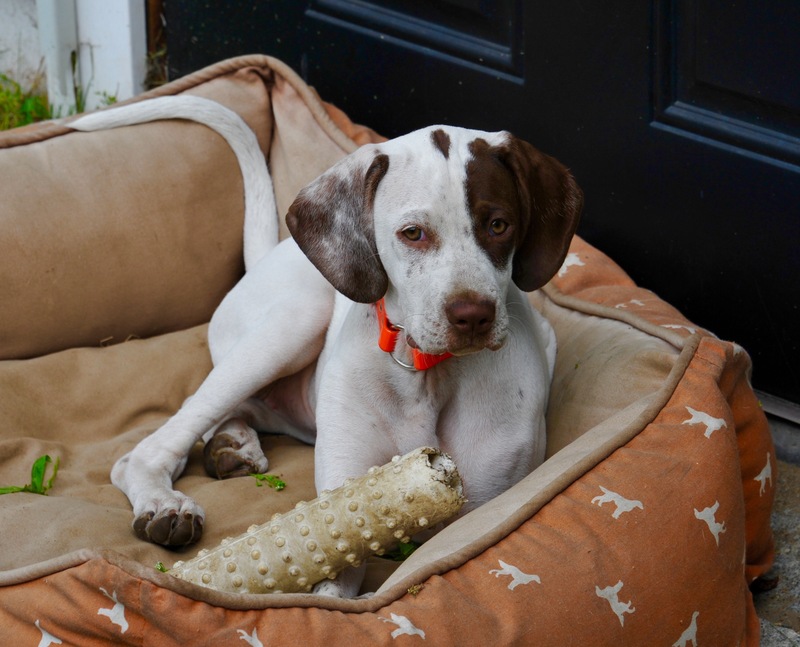 My new English Pointer Lexi is almost 21 weeks old now, and she’s growing fast. She’s up to 20lbs – almost 1/2 of how much she’ll eventually weigh – and her dexterity and coordination is improving. Training wise, she knows her name, and she’s picking up some basic commands: Come, Down, and NO (she hear’s that one a lot). I’ve been working on getting her to turn and quarter on command, too, and she’s picked it up very quickly. Here are a couple videos of her. 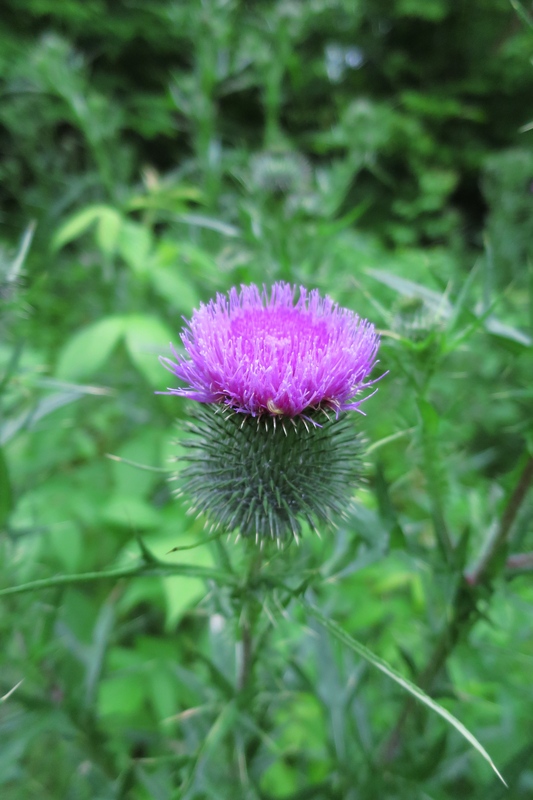 I shot this first one last Sunday. 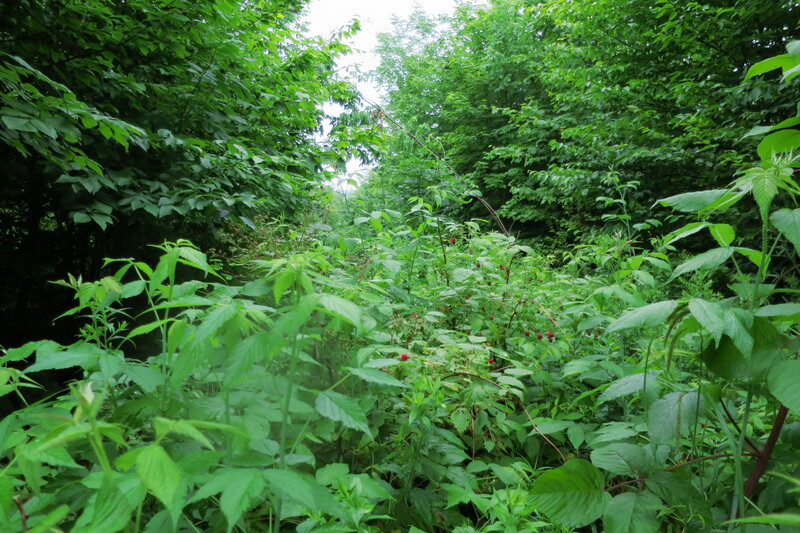 This was Lexi’s first time in thick, weedy cover, with limited visibility, and it took her a little while to get used to it. I shot this next video on Tuesday. This is Lexi’s first visit to the local doggie daycare facility. While Lexi has been exposed to lots of other dogs, she’s seen this many at once. This video was shot within minutes of her being introduced to the pack. Lexi handled the situation very well. 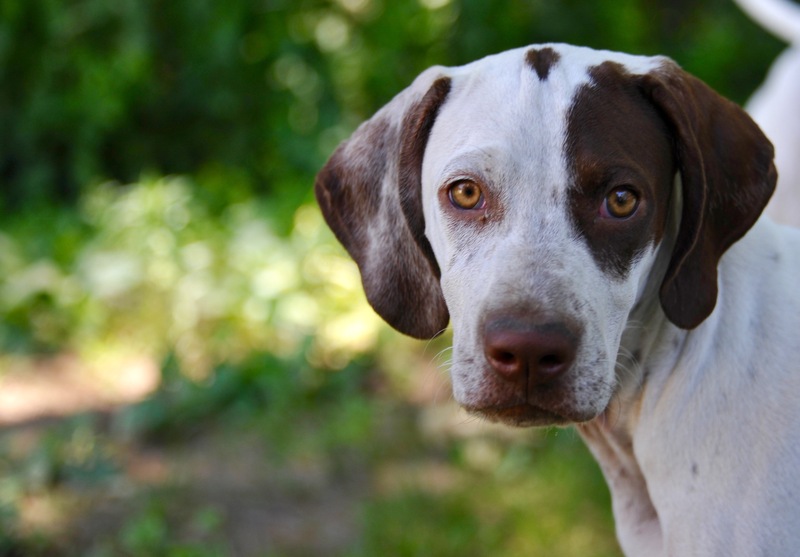 HUNTING DOGSenglish pointer, hunting dog, Lexi, Pointer, Superior Pointers, Upland2 Comments on The latest on Lexi. She’s growing fast…. 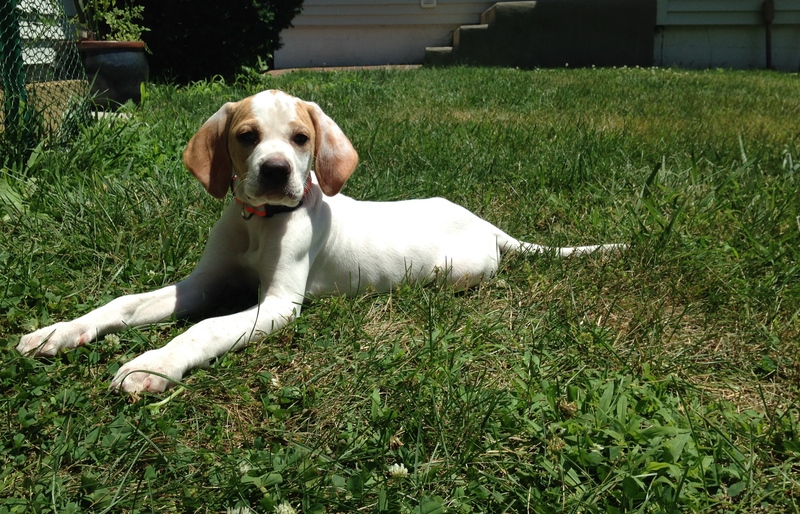 Raising a pup right: What are your tips? Books. Chairs. Cabinet counters. My wife’s toes. These are all things our new pup Lexi loves to chew on. We’re on day six with her, and so far Lexi is sleeping through the night, and we’re not having any messes in her crate or in the house. The chewing and the nipping is a bit of an issue, but I’m sure it will resolve itself soon. 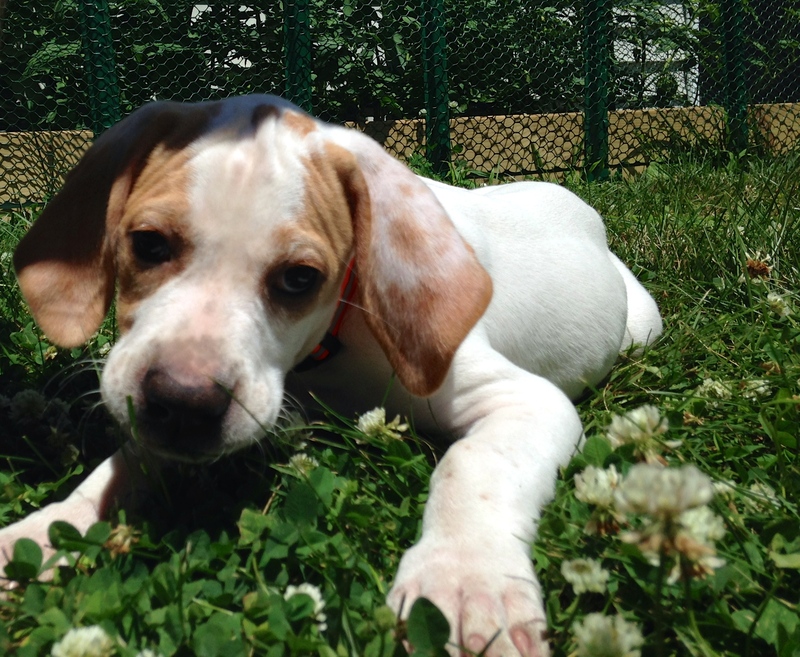 For all you out there who’ve raised a pup before: What tips and advice do you have for us? What did you do right? And what do you wish you had done differently? Please let us know. Lexi loving the sun and clover in the back yard. 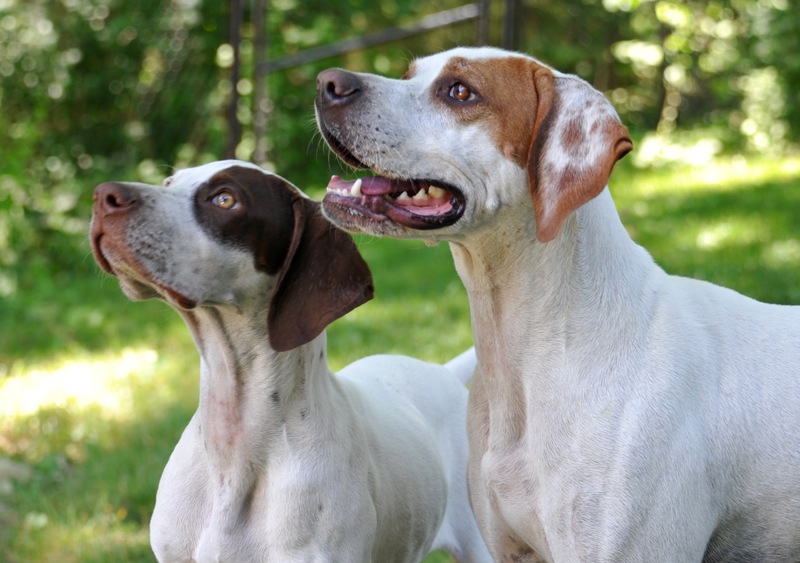 HUNTING DOGSenglish pointer, hunting dog, Lexi, Pointer, Superior Pointers, Upland6 Comments on Raising a pup right: What are your tips? 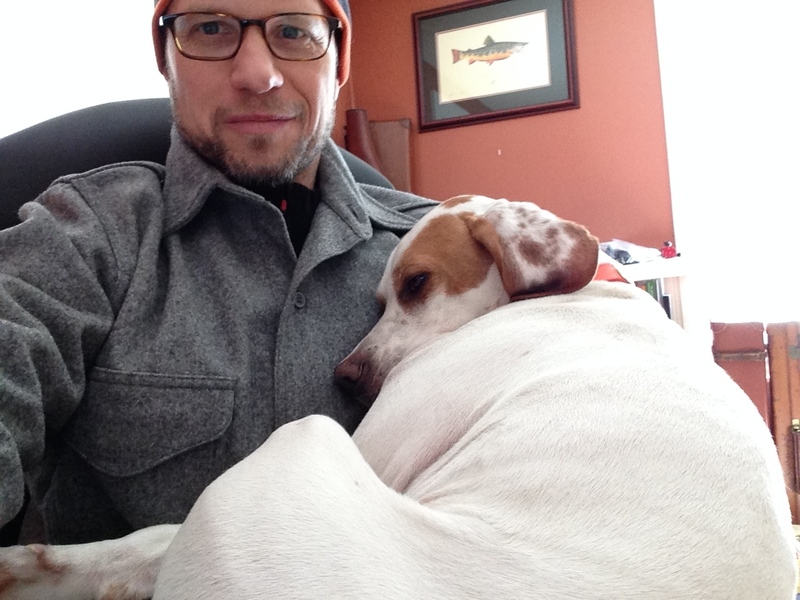 What’s it really take to train a bird dog? There’s some insight into it in this piece from Garden & Gun magazine. Find out. Click through to read the entire article. Springer Spaniel + Cocker Spaniel = ….? Here’s a dog I haven’t heard of before: The Sprocker. It’s a cross between a Springer Spaniel and a Cocker Spaniel. 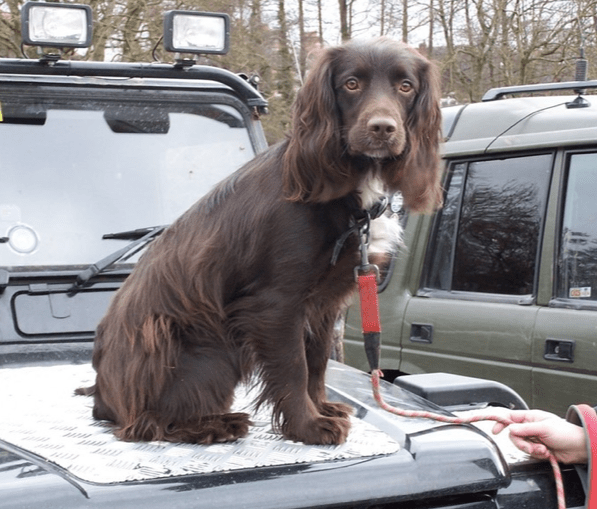 According to SprockerSpaniel.co.uk, Sprockers have been around for over 2o years, and there are between 5,000 – 10,000 of them in the UK, making one of the most popular spaniel breeds there. Other than color variations, I’m not sure what advantages a Sprocker offers, and I don’t understand what niche they fill in the gundog world. Is it a leggy, rangier Cocker? 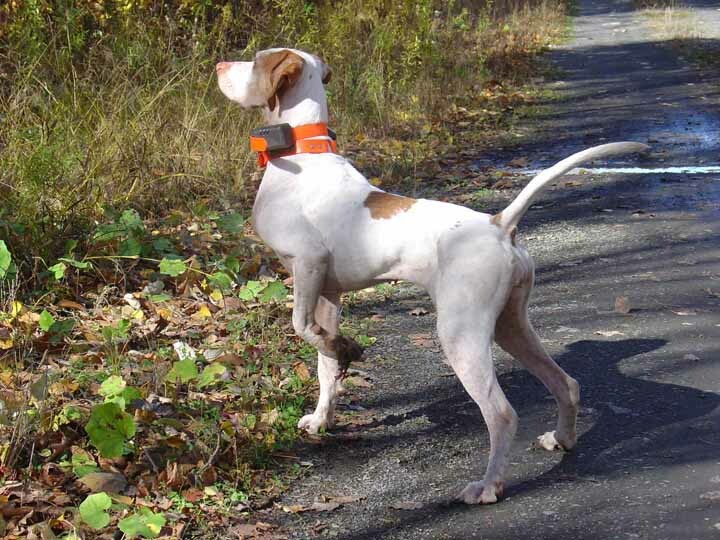 A stockier, close-hunting Springer? If you have one, please let me know. I would love to learn more. HUNTING DOGSCocker, Cocker Spaniel, dog, gundog, hunting, hunting dog, Spaniel, springer, springer spaniel, sprocker, sprocker spaniel, UK2 Comments on Springer Spaniel + Cocker Spaniel = ….? 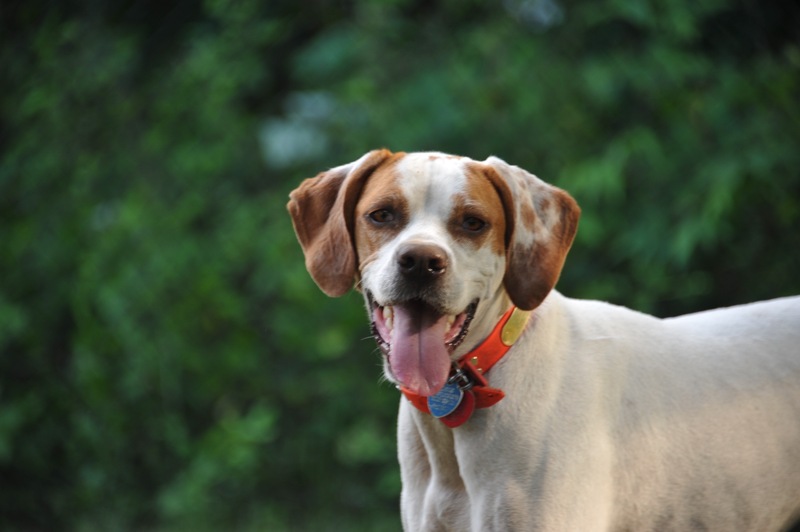 Is your hunting dog overweight? Everybody knows that obesity is problem in Americans. It turns out that it’s not just a problem people. Our pets are fat, too. Check out this infographic to learn more. This “Is Your Pet Overweight?” visualization was brought to you by PetSafe. 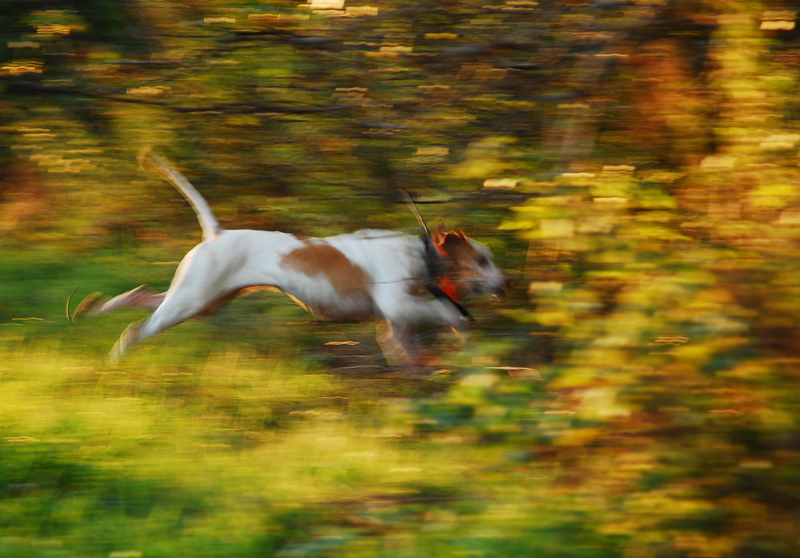 HUNTING DOGSduck, Duck Hunting, Grouse, gun dog, hunting dog, Pheasant, Pointer, Retriever, setter, training, upland hunting1 Comment on Which’s easier to read: Your hunting dog or a book? Check out this short video to see Little Jeb go from wild to steady — right before your very eyes! Here’s a bit about the video from the folks at GunDogDevelopment.com: A chronology of Little Jeb’s steadiness training. 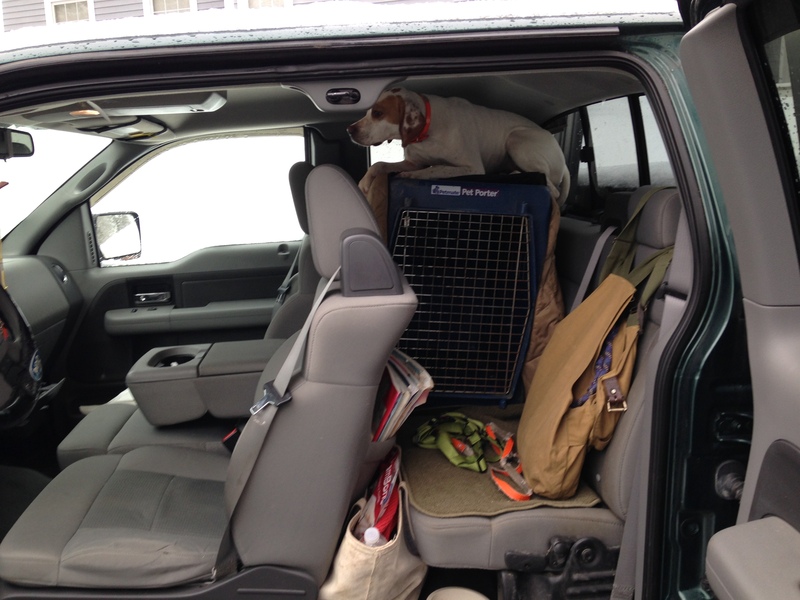 Over the last six months, we anxiously waited for him to show us that he was ready to be steadied on game. This video journal, begining May 25, 2013 captures all of his training sessions up to July 13, 2013. All of the clips are in sequence to show his progression. Although edited, all of the benchmarks to move him through the program have been included. Little Jeb received one E-collar correction in the at the finally. If you watch closely, you can see a slight twitch in his tail when the correction occurred. 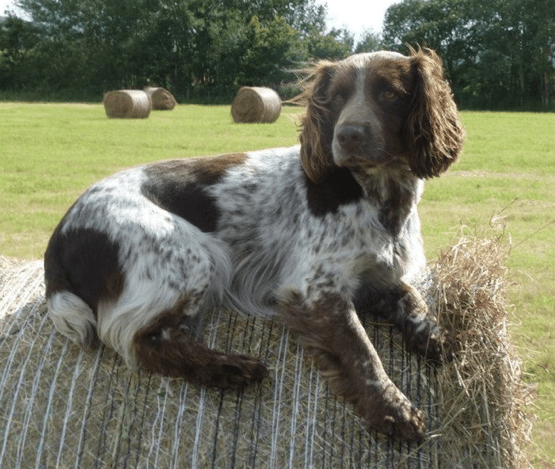 Doing it right with a springer spaniel from Silverthorn Gundogs…. 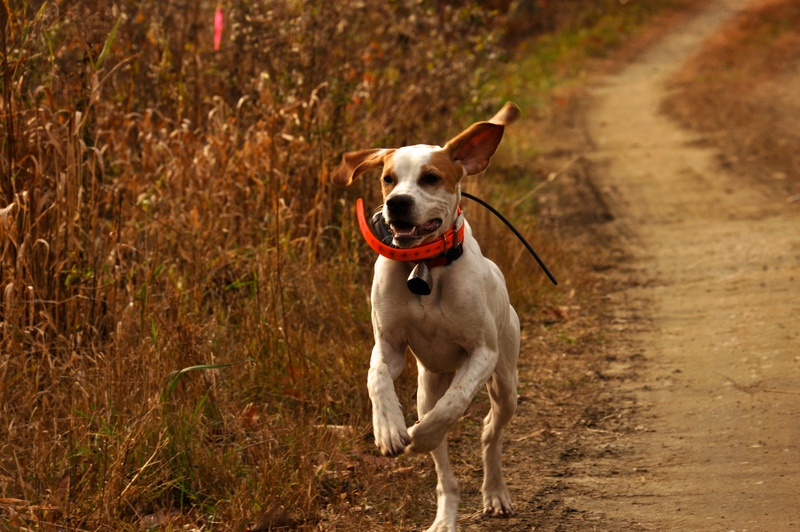 I always enjoy watching a great bird dog do its thing. In this video, you can see Silverthorn’s Emma, a Springer Spaniel out of Silverthorn Gundogs in northwestern, PA, do just that. I love her energy & enthusiasm. She’s the perfect partnership, and you can see how fun she’s having in the field. Silverthorn Emma from Adam Reese on Vimeo.